An Event That Will Change You! BATTLE is a Women’s Conference that prepares women to go to war for their loved ones. To Look down their pews at church on Sunday mornings and realize who needs guidance, loving wisdom and Biblical Truth. Women will be prepared for the task of helping these precious family members—to teach and disciple each one of her family and friends to know Christ and His saving power, love and grace. 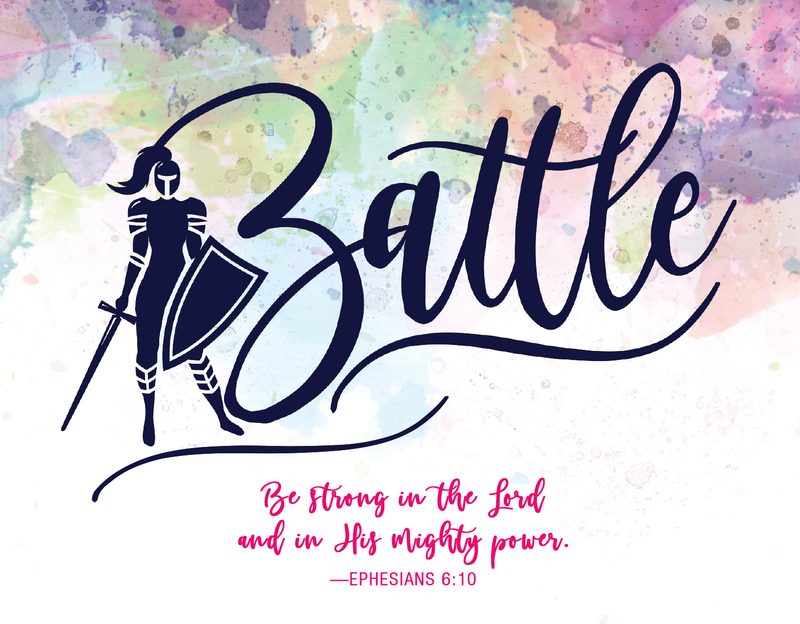 Through Bible study, worships and training—Women at the Battle Conference will leave the day with a prepared Battle Plan ready to do the work God has given her to do! Want to share this with others? Click the link below to download the Battle Poster to print and share!